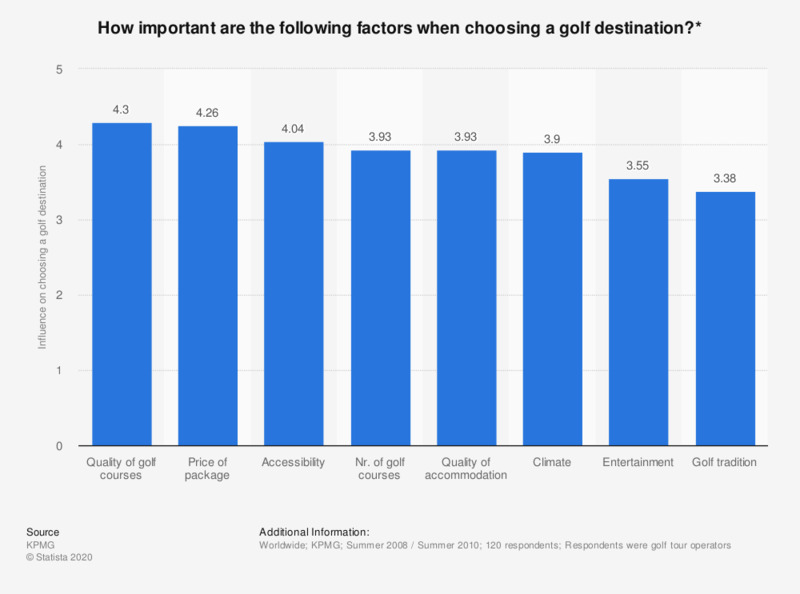 The graph depicts the emphasis placed on different factors when choosing a destination for a golf trip. The factor quality of of golf courses has a score of 4.3. * The importance is measured on a scale from 1 (not important) to 5 (very important). Golf tour operators from 41 countries participated. About half of the responses were received from European golf tour operators. 22% of the responses came from the Americas, 18% from Asia and the remainder from operators based in Africa, Australia and New Zealand. Here a golf trip is defined as a leisure trip taken within a country or cross-border including at least one overnight stay.